Play Plenty on Twenty™ online for free now! 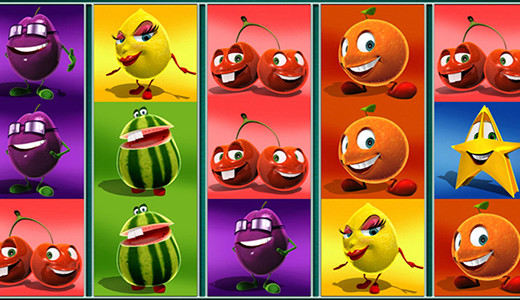 Friends of the classic 'fruit machines' watch out: These cheeky fruits in comic book style just have to land on the reels in the right combination and you will reap a rich harvest! Our slot Plenty on Twenty™ is a real classic: The delicious fruits will earn you many Twists on 5 reels and 20 win lines in no time! Let's go! Your fruity winnings are waiting for you! Your aim is to land 5 matching symbols along an active win line. Your win lines run from left to right across the reels. A winning combination consists of several matching symbols (see Paytable). Your winning combinations have to start on the first reel on the left and run along the win line to the right without being interrupted. Scatter symbols (Star) win in any position. The 7 replaces all symbols except for the Star.